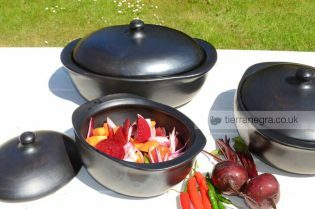 Ceramic cookware takes longer to heat than metal vessels and correspondingly longer to cool down. 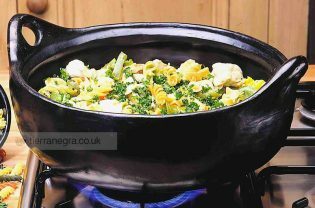 A dish which is boiling when taken off the heat, may continue to boil for several minutes after being placed on the table and, if a lid is used, can remain hot enough to eat an hour later. 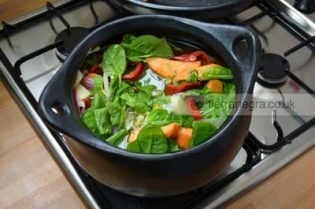 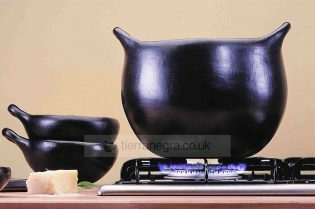 The slight porosity of the surface serves to enhance the flavour of cooked foods after the vessels have been used several times. 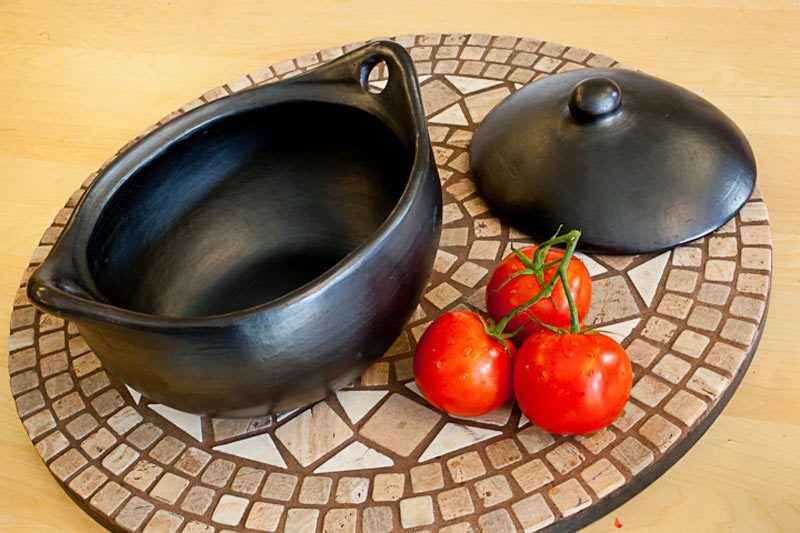 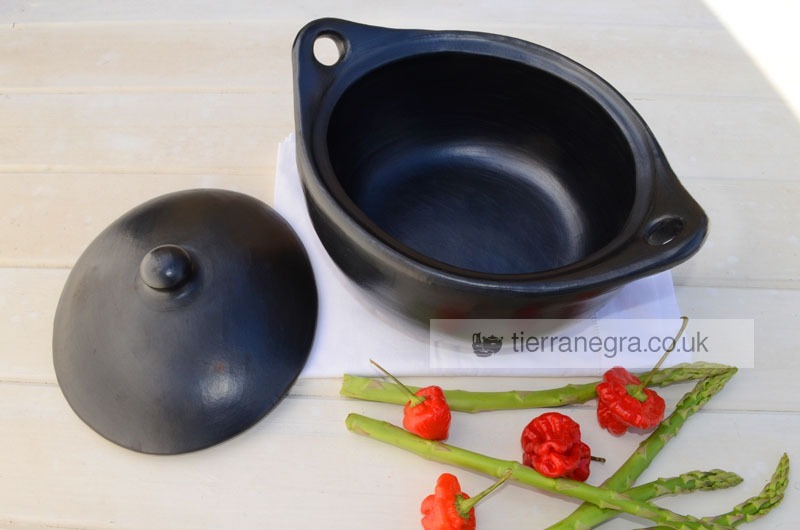 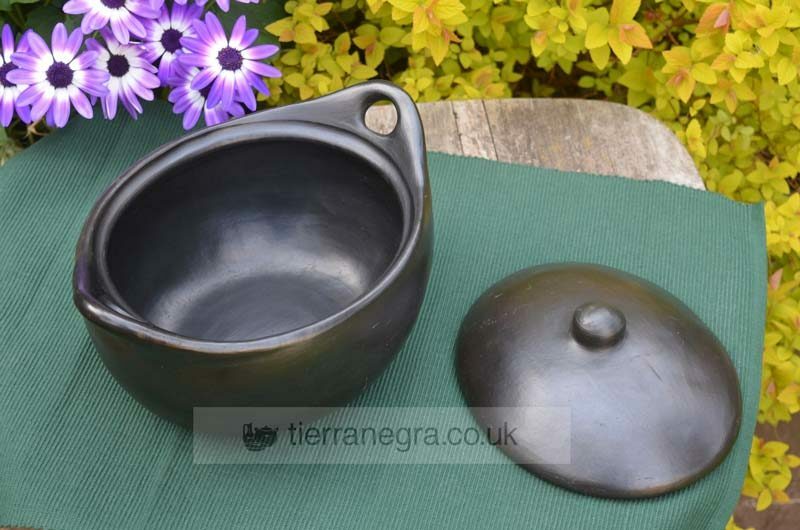 It is recommended that wooden cooking implements be used with tierra negra® rather than metal ones.